Today's post has been a really exciting one for me because not only did I get to read one of Josi Kilpack's awesome culinary mysteries...I got to read Banana Split before its release date of March 5. It's such an honor. I can't even tell you how cool I feel. 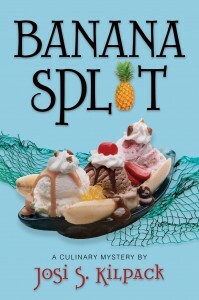 Banana Split is the seventh book in Josi Kilpack's Sadie Hoffmiller culinary mystery series. 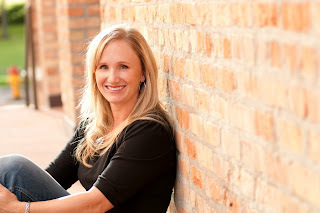 For those of you unfamiliar with the Sadie Hoffmiller series click here to learn more about it. 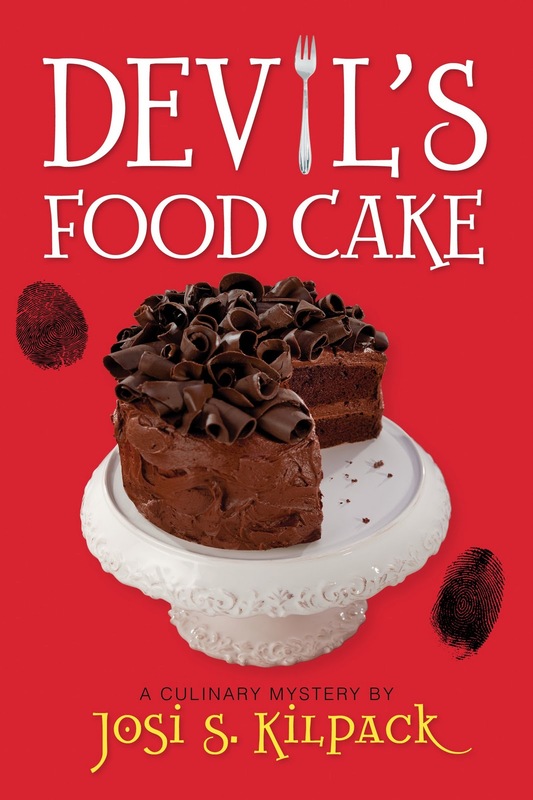 For those of you who don't know what a culinary mystery is...let me just say it's like having a great story made even better with some great recipes. A two-for-one that you don't want to miss. A woman can only be expected to fight for justice, and her life, so many times before the trauma starts to take it’s toll. In an attempt to heal, Sadie accepts the offer to stay at a friend’s condo on the island of K’auai—the perfect place to center herself and process all that’s happened over the last year and a half. Unfortunately, the isolation only enhances her anxiety. During a snorkeling trip with the Blue Muumuu’s, a community group made up of adventurous older women, Sadie experiences a panic attack which finally convinces her that she has to get some professional help if she can ever hope to return to the woman she once was. No sooner has she made that decision, however, then she finds herself entangled, quite literally, with the dead body of Noelani Pouha, a local drug addict. The police are convinced they know exactly what happened to Noelani and Sadie has no interest in involving herself in looking for other possibilities until Noelani’s son presents her with a reason to gather her inner strength and use what she’s learned from her past cases to try and find closure . . . for both of them. What do you get when you combine a tropical mystery and several great new recipes? You get a banana split...or at least Josi Kilpack's Banana Split. I have to admit I haven't read every book in this series so when the book started I was a little confused as to why Sadie was just a shadow of the woman I remembered from before. I found her anxiety riddled and filled with so much fear I couldn't see how in the world she was going to manage solving a mystery. Now let me say that while I wish I'd read the previous book (Pumpkin Roll) I wasn't lost by any means. Josi did a good job of sharing enough about Sadie's past for me to understand what was going on. This is a great character driven story and I found Sadie's transformation from panic attacks on the street corner to super sleuth completely believable. It was nice to see Sadie conquer her own demons while she unraveled the mystery behind Noelani's death. One thing I love about Josi's books is that I never manage to figure out who the "bad guy" is. Banana Split was no different. She had me guessing and re-guessing and then going back to my original suspicions only to make me change my mind when some new clue comes into play. In other words...she kept me guessing. The cherry on top of this great story is found at the end of the book where Josi has included a QR Code (you know those weird looking squares you scan with your phone) and a link to a website where you can get "The Story Behind the Story." This is a really cool feature that takes the reader into a behind the scenes chapter that isn't included in the book. I loved this bonus chapter—though caution is advised here because it's a spoiler so make sure to read the book before you sneak to the back and scan the QR code. I highly recommend this book. So much so that I'm including links to pre-order it so you won't miss out! You can check out Josi's website here and her blog here. For more information on Banana Split click here. For our lucky winner Josi has generously offered to give away a signed copy of any book from the Sadie Hoffmiller series. That's right! The winner gets to pick any book from the series and Josi will sign it and pop it in the mail. Before you jump at getting Banana Split check out the rest of the books in the series. Who knows, you might find another one that wets your appetite (literally and literature-ally). 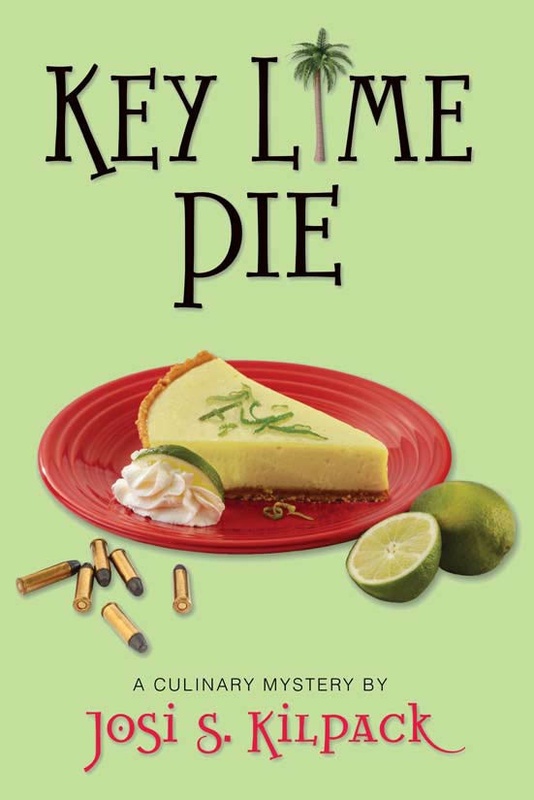 After the body of Sadie Hoffmiller's neighbor is found in her backyard while a Lemon Tart is baking in her oven, Sadie finds herself smack dab in the middle of her first murder mystery. Who killed Anne Lemmon and where is her two-year-old son? When Sadie Hoffmiller and her daughter, Breanna, go to England over the holidays, it's supposed to be a vacation. When murder takes place and the body disappears, Sadie finds that she can't return home until the case is solved. Thom Mortenson is a local celebrity in Garrison, Colorado, but no one expected his return to end in a bang—literally. Sadie doesn't mean to get in the middle of the investigation, it just sort of happens. Following her new friend, Eric, to Florida was supposed to be a friendly gesture, but true to form, Sadie can't seem to keep out of a brewing investigation. Once there, however, she begins to wonder if the disappearance of Eric's daughter is the only mystery in need of solving. After finding herself in the middle of so many murder mysteries, Sadie is hired to look into the suspicious death of a businessman in Portland, Oregon. What starts as a basic investigation, however, quickly turns into far more than Sadie bargained for. A week in Boston with her boyfriend, Pete, and his three grandson's seems like a great idea, until too many unexplained events make it impossible to not try and figure what is really going on. Sadie's never believed in ghosts, but all too soon she's beginning to wonder. ALL ENTRIES MUST BE MADE by 11:50 MST tonight, January 28, 2012. Check back tomorrow morning in our "Winner's Circle" to see if the lucky winner. 3. Be a follower of Josi's blog. 5. Follow Josi on Facebook. 6. Follow Josi on Twitter. That's six chances to enter! Be sure in your comment on this post to tell us all the ways you have entered to win and which book in the series you'd like to win. If you tell me in your comment why you picked the particular book you want to win I'll give you an extra entry. Instead of six ways to enter it's seven. 1. I would love to win one of these books!! 3. I am a follower of Josi's blog. 4. I am a follower of MMW's Facebook page. 5. I am a follower on Josi's Facebook page. 6. I am following Josi on Twitter. 7. 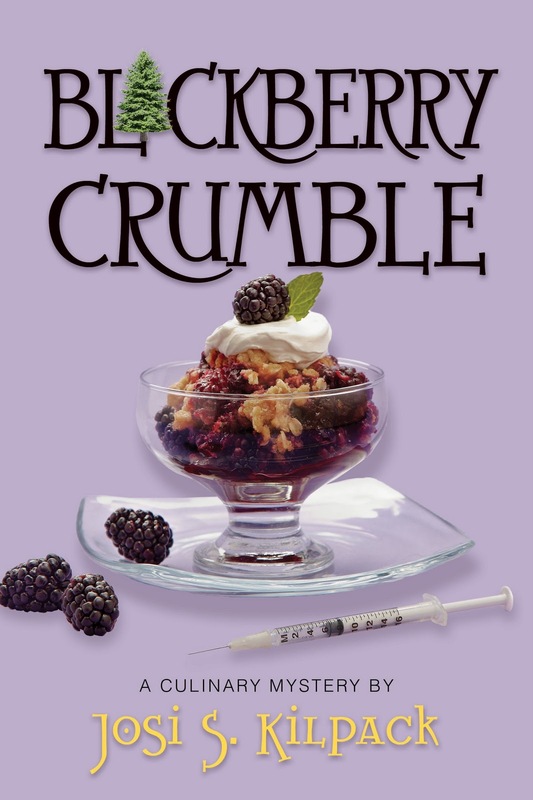 I would love a chance to win Blackberry Crumble. Why? Because my twin sister would really love to read this book, and would be so excited if I won it. I have heard about this series and would love to read them in my book club. Thank you. Please enter me. 4. I would pick book one because I would want to read the series from the beginning. But all of the books look great. My daughter has been telling me all kinds of good things about this series. I would pick Lemon Tart. Just because it is the beginning but also my mom loves all lemon desserts. So I could pass it on for her to read. Oh my goodness! I am so excited! I love, LOVE this series! 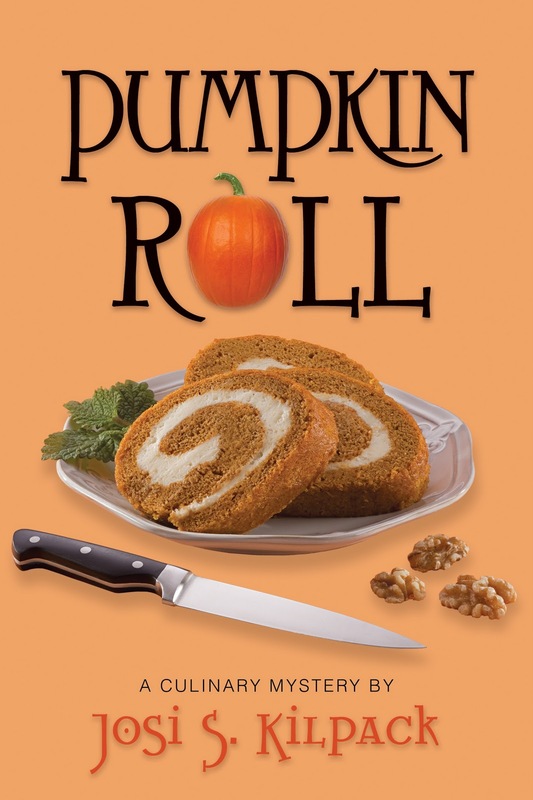 I would love to win Pumpkin Roll, because I am almost there in the series. I haven't read it yet, but I really want to! I am a follower of Josi on facebook. I am a follower of Josi's blog. I admit I have read all of her Sadie Hoffmiller books so far. I am looking forward to reading this latest book. 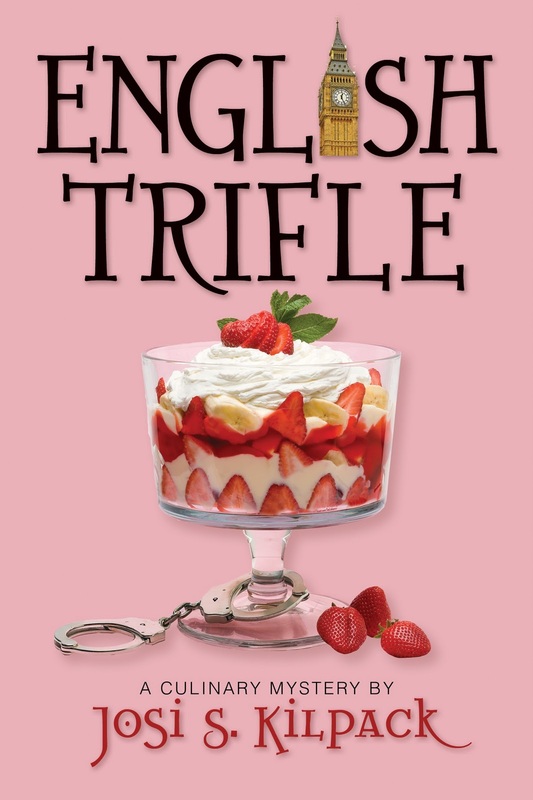 #1 entry:I would love to win the second book, English Trifle, because I only own the first and am trying to collect them all. So the second book is a good place to continue. #4 I Have been Following Josi on FB for a while. #5 I have been following Josi's Blog for a while. 1. I would really LOVE to win any one of these books!! Yea for Josi.....It's fun to learn more about her!!!!! 2. I follow this blog! 3. I also follow Josi's blog!! 4. I follow you on Facebook!! 5. I follow Josi on Facebook!! 6. I would pick Book 1 - Lemon Tart. I would pick that book because I want to start at the beginning of the series..........and because my daughter LOVES anything Lemon and I'd pass it on to her to read!! Thanks for the contest and Thanks for the great books, Josi!!! I have heard great things about this series, but haven't had the chance to read any of them yet. 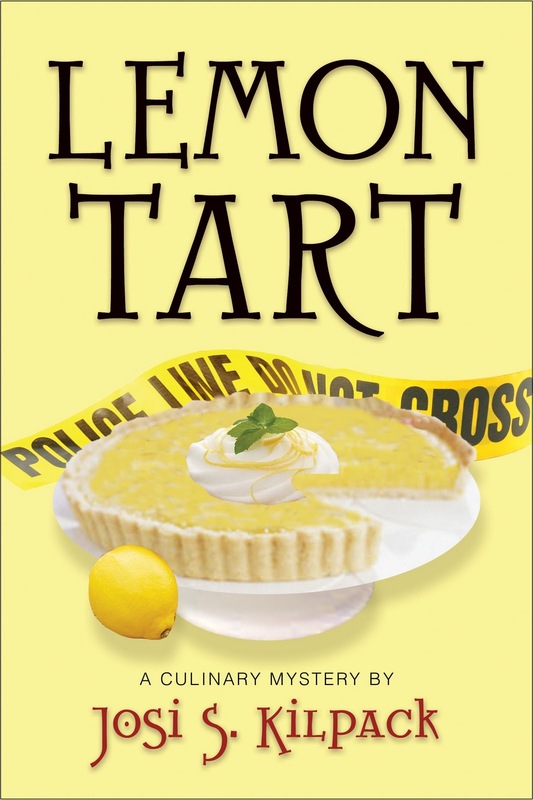 So I would love to win the first book (Lemon Tart) so I don't miss out on anything! I am a follower of your blog and also a follower on Facebook. All of the books look positively 'delicious'. I would have to begin with Book #1: LEMON TART. A wonderful giveaway thank you & so pleased to have met Josi Kilpack. Ok, I follow your blog, I follow Josi's blog, I "like" you on fB, I'm Josi's friend on FB, I'm commenting on here, but I don't Twitter/tweet. Whew! That's a lot to say in one breath! ;o) I would love to have Lemon Tart, as I have borrowed all the rest of the books from my friend, and the only one that I own is a signed copy of Pumpkin Roll, purchased from Josi herself. I won a copy of Banana Split and am soooo excited to get that! Thanks! I love these books! I've read them all, but I don't have my own copy of Lemon Tart, so I'd pick that one. I'm super anxious for Banana Split! 1. I follow this blog! 4. I follow you on Facebook! 5. I follow Josi on Facebook! I like the iead that cherry oCoden top of this story include a QR Code barcode,interesting!